I really don't know how to begin this post. Should I begin with a smile or a raise in my eyebrow? We had a lovely evening last night watching Knight and Day and we really enjoy the movie with smile and laughter in our lips. 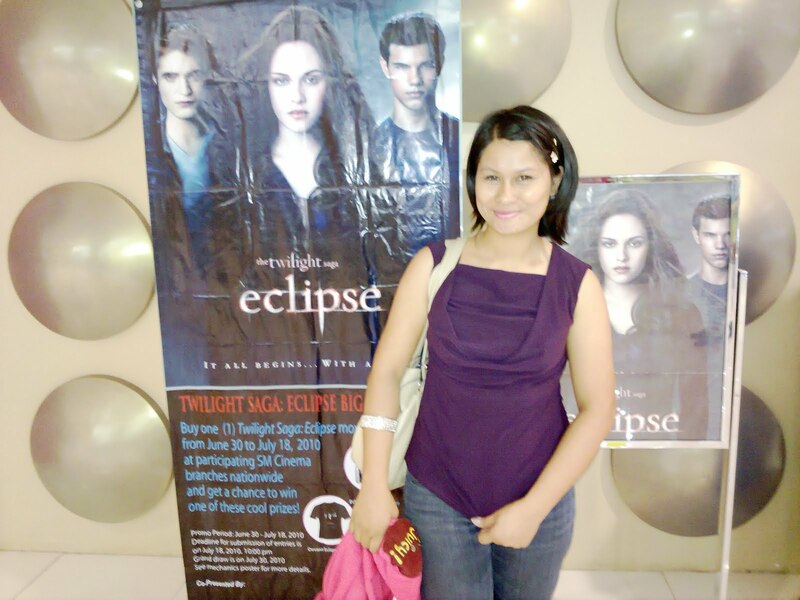 We only intend to watch Knight and Day that night but when I saw that SM will also be having a midnight screening of Eclipse here in our place, we thought it's a good idea to watch the movie because it's been months that I am dying to watch this movie. It's our first time to watch a midnight screening here in our place and even we were already tired and sleepy but our anticipation and eagerness runs through. It was barely 11:10 when we went back to SM because we don't want to wait in the end of the line. When we arrive, we were excited how many people are also there to watch this movie. Some of our acquaintance and friends were there too. But the most intriguing fact is that there are many people in the ticket booth. When it was our turn to present our ticket we are advise to make a refund because the movie will not be shown in 2D anymore. (So, that was the reason of the long line) So, we have to fall in line to make a refund but just as expected no cash refund were made but only a movie tickets on which we can use on our next visit. The movie time should have been 12:00 midnight but we were still in line until 12:15 and we were advised that the movie will start after all the moviegoers have made a refund. We really could not do about it but just wait and let the time pass by. We take our designated/reserved seats and there was already a band playing mellow songs which make me really irritated because, who would not be? Everybody is tired and I am really sleepy and there they are playing music that could make us sleep. (But then, just not to ruin my day,i played with my Prince of Persia game (in my cellphone) to relax my mind. But then it was already 12:40 and we have heard that they are just preparing for the movie (disk or whatever it was) so they could not play it until the next 15 to 20 minutes. (What?????) It was really irritating and many people were already reacting about the situation. Some of the moviegoers, moms who have their children with them ask the movie clerks what really happened, one lady also commented that "What is this, you should have told us that this was a disco) (Ano ito, dapat sinabi nyo sa amin na disco ito) and not a movie house. How can they be this unprofessional, a refund can easily be made. Ooh, yes, that was too easy to say, "just make a refund if you would not want to wait" but then the anticipation and the long wait we have made and mind you the long line we have to go on to and they would just say to us that " just make a refund if you could not wait". It was a terrible experience and really frustrating. How can they be this inefficient? But, all was said and done and we could not bring back the time, the effort of everybody and the mental anguish they have caused to lots of people. I believe that they should be ready to receive many negative feedbacks on this but they could not blame their consumers/customers because it was really very irritating and frustrating. I do hope that this incident would not happen anymore. 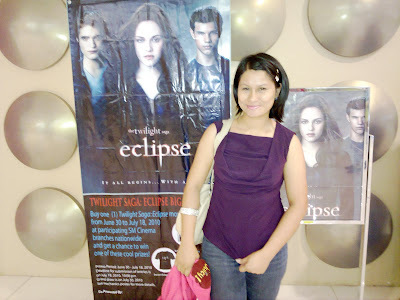 Luckily, we were able to watch the movie and all the frustrations and irritation faded when we saw Bella, Edward and Jacob. Ooh, they are really fantastic and effective characters, no wonder, many people are dying to watch this movie. 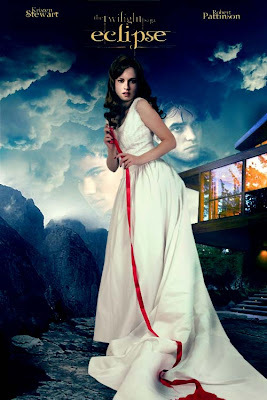 Although hubby was not satisfied with the whole story ( he only wants the action scene) it was indeed a good one. I could not wait to watch the final episode but then it would be years of waiting. I am just praying that no other incident like this would ever happen. hahaha, welcome to the club! nakaka-frustrate na talaga manood ng sine nowadays. imbis na ma-relax ka, na-iimbyerna ka pa lalo. parang gusto ko na tuloy isipin na mas OK pang manood na lang ng pirated DVDs! as technology progress, customer service regress!